Leif Erikson has statues in Iceland, Norway, Greenland, and across the United States, but there's been one glaring omission—until now. 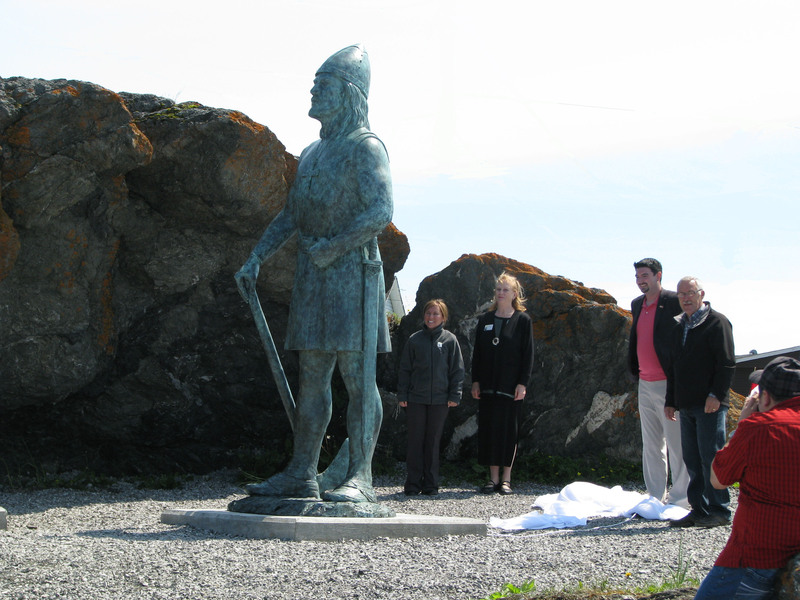 2013 saw the unveiling of a new Leif statue in the very place where he became the first European to set foot on American shores: L’Anse aux Meadows, Newfoundland, known to Leif as Vinland. As with previous statues, the Leif Erikson International Foundation offers you a chance to be part of the memorial by submitting your name, along with a donation, to be inscribed on a plaque at the statue site. Join the more than 50 donors who have already supported the project. LEIF has given replicas of August Werner's Leif Erikson statue to Trondheim, Norway, where the Sagas say Leif wintered over with King Olaf Trygvasson, and to Brattahlid, Greenland, where Erik the Red established his farm. 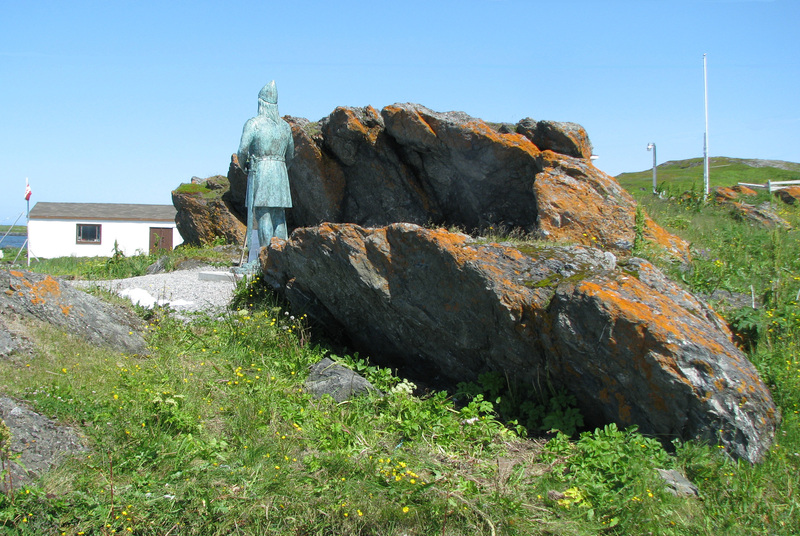 L’Anse aux Meadows is the site of our final statue. It looks out upon the same seas from which Leif first reached America, more than a thousand years ago. Unveiling ceremony at L'Anse aux Meadows, July 18, 2013. The statue gazes out toward the Atlantic.